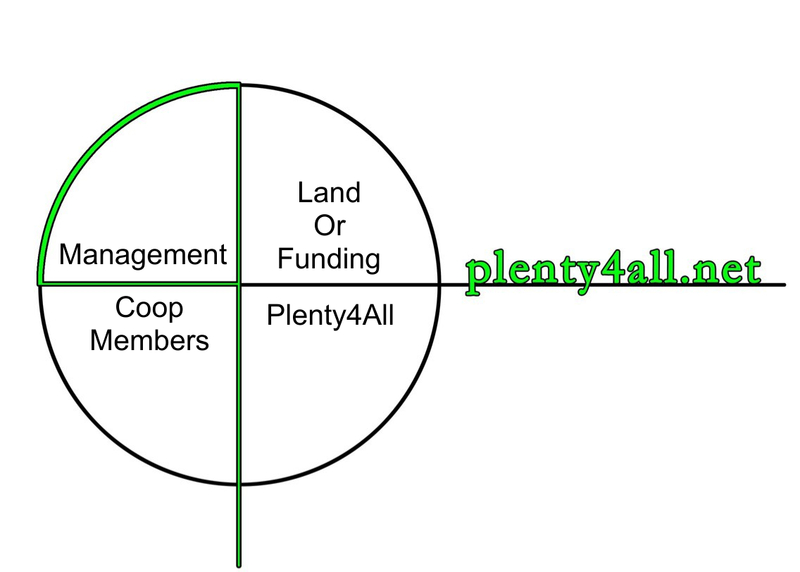 Plenty4All is an International Organization committed to feeding every child on this planet. To feed every child on this planet it is also necessary to feed their parents and families as well. Everybody Eats! Communities organize Plenty4All Coops to provide opportunities to work together and create their own sources of Food & Energy & Water. Children will learn from their parents and future generations will help to feed and build a better world. Plenty4All is an investment in Life that is sustainable. In May 2016 Polycap Ogalo came to Toeldo, Ohio to stay with Jack SoRelle CEO of Plenty4All and attend a course in agripreneurship. The focus of the course was on healthy ways of growing food and marketing it. There was a wide variety of speakers and field trip experiences. Part of the course required volunteer time participating in gleaning crops like strawberries and carrots for food banks. We also helped revitalize an abandoned community garden. Polycap returned to Ndhiwa, Kenya in September of 2016 and it wasn't until March of 2017 that we implemented a Community Development Plan to create sources of Food and Energy and Water in Ndhiwa. He had no electricity, only seasonal rainfall and was a subsistence farmer. We've created rainwater collection systems, 12 volt solar electricity (with water pump) that also powers a chicken incubator, rotation of crops, a small cafeteria, BioGas Generator, water purification systems, planted 100 trees and started a Plenty4All Children's Club. There is a clear lack of service in feeding and providing clean drinking water to millions of people many of them being children. The systems that were designed to help these people don't work! They are too big and service to others gets lost in bureaucracy - not anybodys fault, they just don't work. Solutions that don't include input from the local communities in developing and building projects are doomed to failure. Plenty4All is the “Human Solution”! The most powerful and effective method to rebuild communities is to provide them with the tools , materials and education they need - to not just rebuild but build better! Just as Japan and Germany were rebuilt after WWII. Plenty4All is a For-Profit - Non-Profit. What we seek is a profit in life that supports sustainable lifestyles. 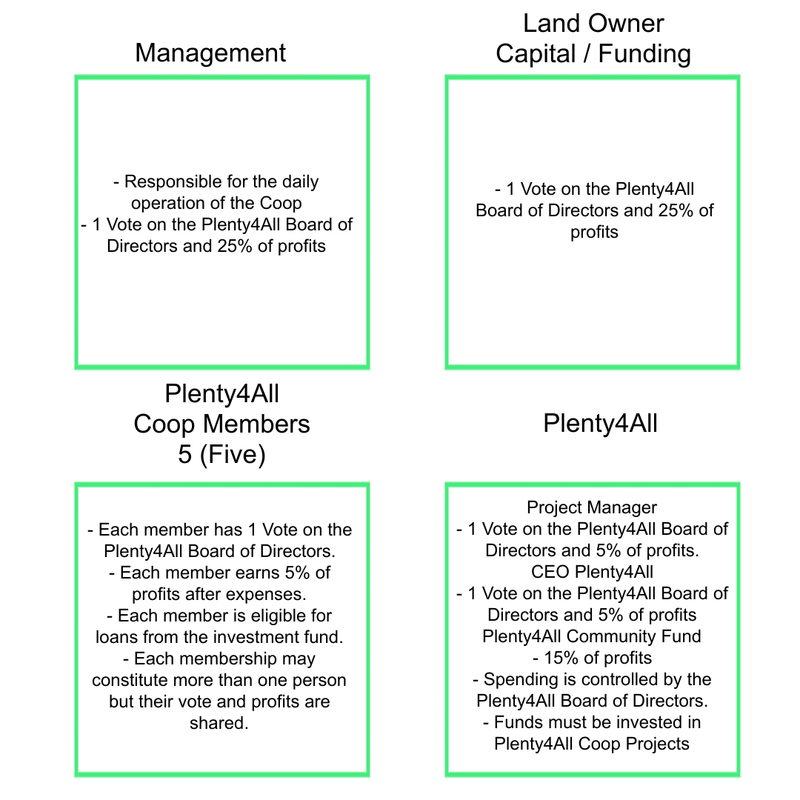 The Plenty4AllCoop empowers interested members of communities with a tool of agreement that values and respects all work and is run by members of that Coop.